Hidden within these soft, chewy peanut butter cookies lies rice krispie cereal. It may sound strange, but trust me it’s not. The cereal adds some much needed texture to these cookies. Some of the cereal remains crunchy and some softens into a nice chewy texture. Not to mention the cookie itself is lightly sweet with just the right amount peanut butter flavor. These cookies definitely have a nice surprise going for them. Not to mention they stay soft for days and are absolutely addictive. I highly recommend this cookie if you want to branch out or if you are just plain tired from the normal peanut butter cookie. The first step is to cream the margarine, Truvia, and brown sugar together until creamy and well mixed. 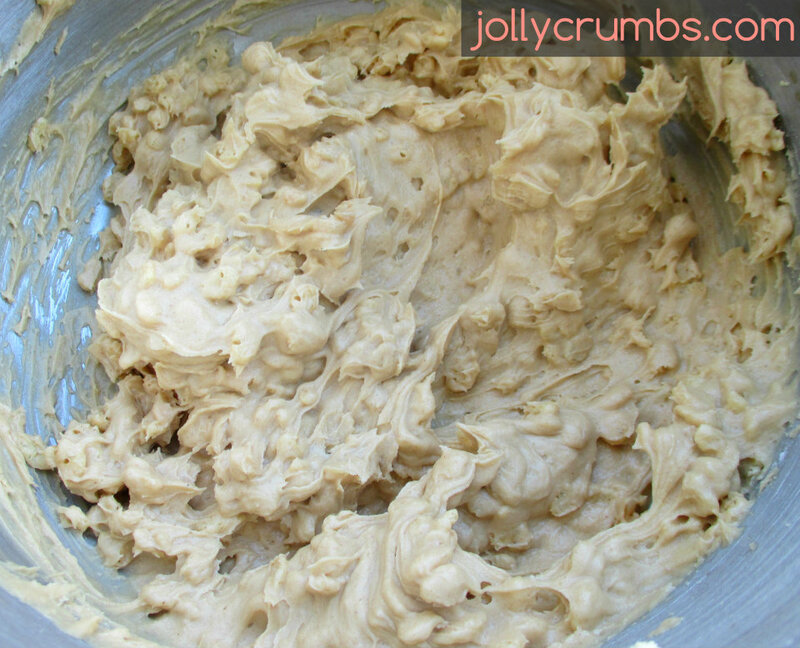 Beat in the peanut butter, liquid egg whites, and vanilla until creamy. In a small bowl, combine flour, salt, and baking soda. Slowly add the dry ingredients into the wet until combined. Then stir in the rice krispies cereal until the cereal is coated. Cover and chill the dough for 1 hour. Chilling the dough makes the cookies spread out less during the baking. It also makes the dough easier to handle. Once the dough is chilled, drop the dough by spoonful onto the prepared baking sheet. Bake for 9 to 11 minutes or until the bottoms start to brown slightly. Let cool for several minutes before transferring to cooling rack. These cookies are a mix of several things I love. First, this is a delicious peanut butter cookie. It isn’t overwhelmingly peanut buttery, which is a great thing. Then you have the softness and chewiness of the cookie. Finally there is the texture of the cookie. The rice krispies in the cookie create a wonderful texture. You have some crunchy pieces and some chewy pieces. This really is a stellar peanut butter cookie. 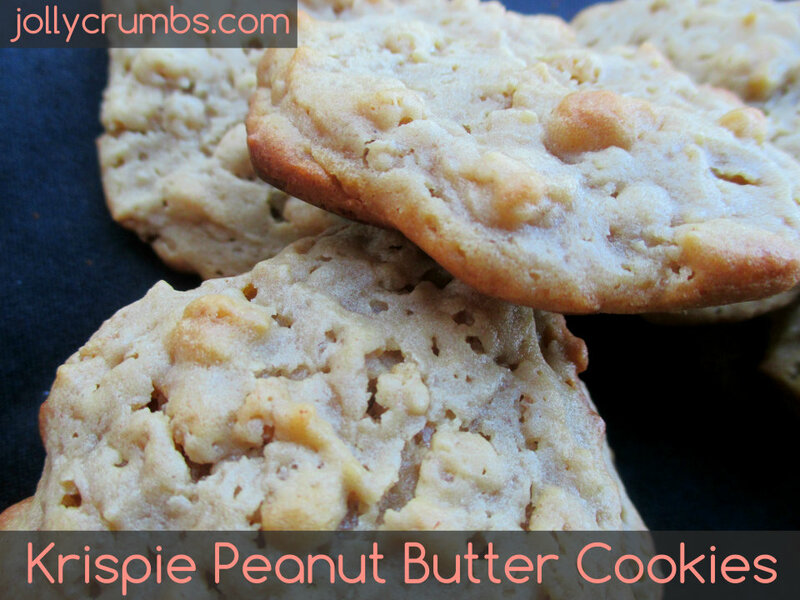 It has the classic flavors of a peanut butter cookie but a fun new twist in the texture. It’s quite hard to stop munching on these delicious cookies! Preheat oven to 350°F. Line cookie sheets with parchment paper, silicone baking mats, or lightly spray with nonstick cooking spray. 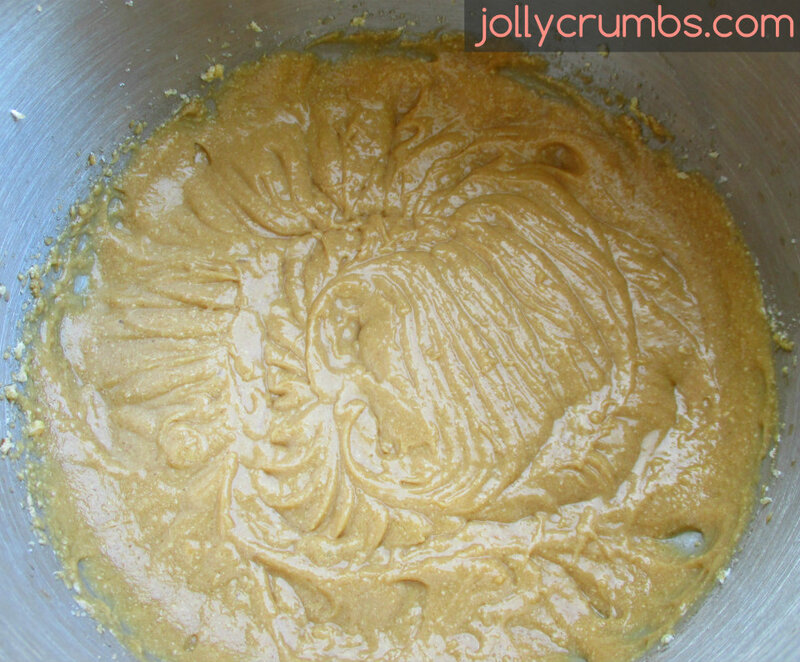 Cream the margarine, Truvia, and brown sugar together until creamy and well mixed. Beat in the peanut butter, liquid egg whites, and vanilla until creamy. 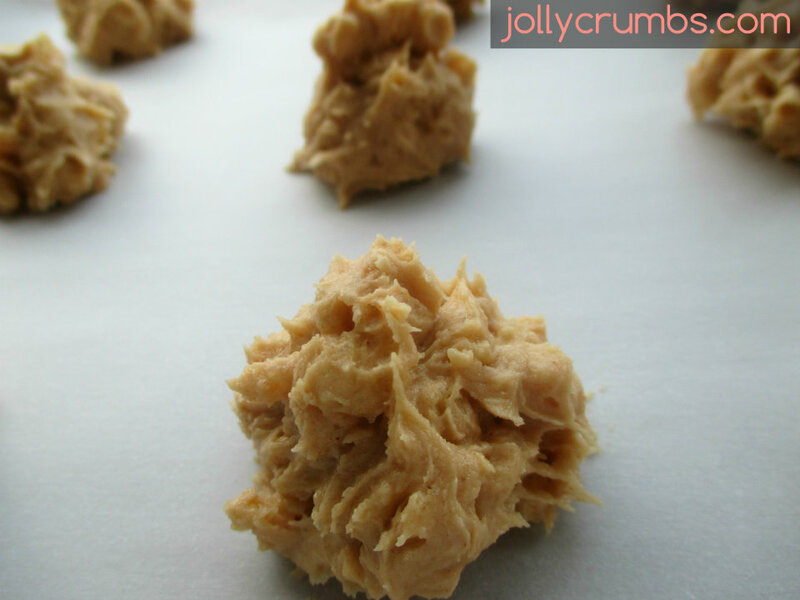 Drop the dough by spoonful onto the prepared baking sheet. Bake for 9 to 11 minutes or until the bottoms start to brown slightly. Let cool for several minutes before transferring to cooling rack. If you don’t want to chill the dough, you will end up with a flatter cookie. I prefer to chill this dough so it is less sticky and easier to work with. Thank you for your kind comment! Hope you enjoy if you make these!